The holidays are hard. They are absolutely wonderful, glorious, and beautiful times, but they are also really hard. There are no two ways around that fact. Seasonal and complex mores we need to consider emerge. For example: holiday parties — which ones do you go to? How do you dress for them? 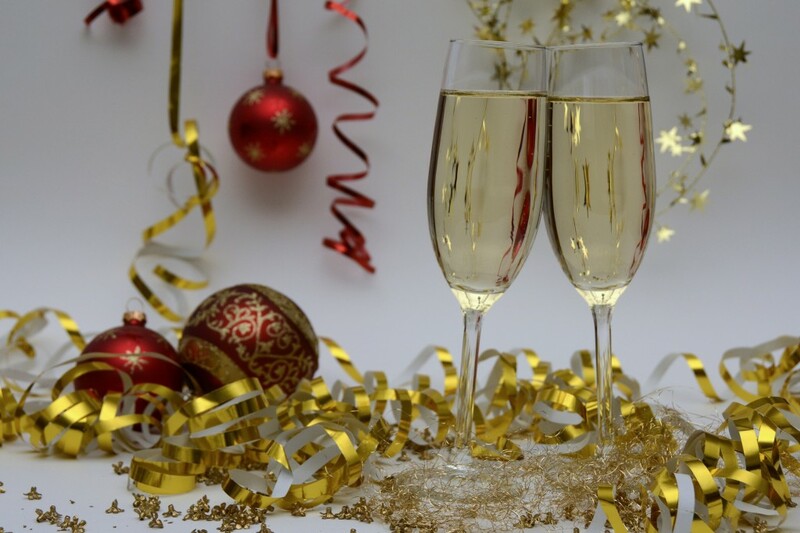 How much fun is too much fun at your office party? Should you go to the post-office-party-party? Maybe! But maybe you should definitely skip the post-post-office-party-party — we’re not sure how wild you actually want to get with Steve from HR. But we’re not judging! We’re merely here to help. So let’s not wait any longer. Let’s dig into the nitty-gritty details of how to get through the 2017 holiday season with your sanity totally intact. Image Courtesy of Annca Photography. Going to a party isn’t the hardest thing in the world. But there are a few key-points we want to address. This advice stands for all parties — no matter where, when, or with whom you are partying. It’s easy to be swept up with the spirit of the holidays and get a bit carried away. But ease up on the gas. You’ll feel more in control and charming if you aren’t inebriated (that’s pretty close to scientific fact). And in addition to not making a fool of yourself, you’ll be in less pain the next morning — and chances are you’ll have an easier time committing to your workouts and other objectively healthy routines. To that point: Water is your friend. Drink a full glass of water after every drink. This won’t “undo” each drink, but it will provide your body with a sort of insurance policy for the night and the next morning. Alcohol dehydrates you. It punishes your body. Water, the essence of life, rehydrates and replenishes your body — allowing you to recuperate. Furthermore, don’t go to this party on an empty stomach. Eat something that won’t weigh you down, but will help you stand up to the night of drinking ahead of you. Ok. Don’t worry. We’re going to make this easy. In fact, we’re not even going to get nuanced with this, we’re going to be really simple. Serve small-plate items for food. Come up with a “signature” drink. You don’t have to go over the top with your holiday decorations. It’s 2017 and we’re living in the future. Minimalism is in, it is cool, and (frankly) it can be quite simple. We love this quaint and homey yet thoroughly modern holiday presentation provided to the New York Times by Cal Bingham for the Bouqs Company. It shows off a very authentic and understated approach to holiday decorations. Image Courtesy of Cal Bingham for the Bouqs Company via The New York Times. Take a tip from local favorite A.O.C. 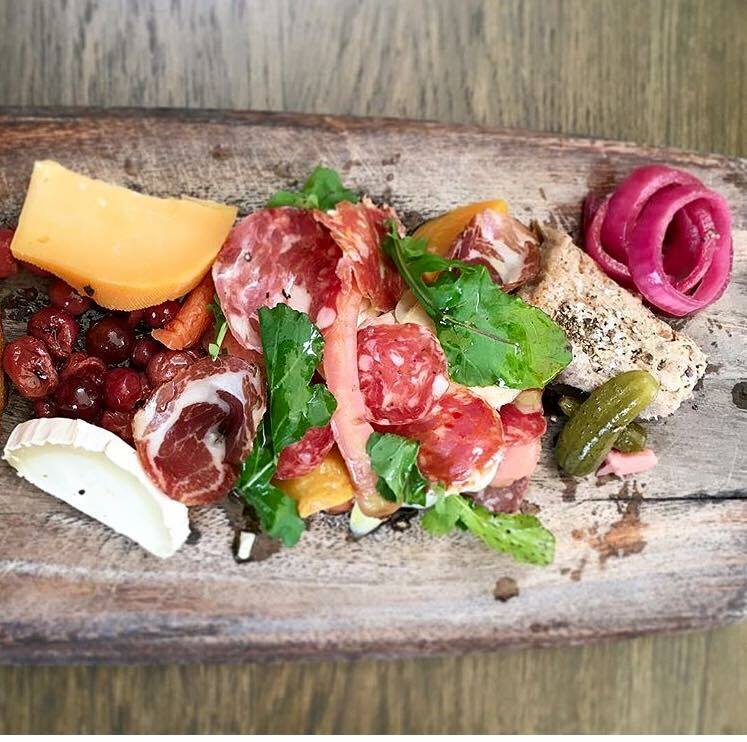 and serve small plates. And you don’t even need to really cook. Here’s some insight directly from a wonderful neighborhood holiday party I attended just the other night: take a wheel of brie, throw it on the grill, cook it for a bit, and serve hot with bread and crackers. That’s an example of a beautifully rustic looking dish that took minimal effort, and (most importantly) tastes great. Image Courtesy of A.O.C. Restaurant & Wine Bar. Wine is always a rather safe bet for social gatherings. But aside from a few wine selections, you may want to keep things simple, and not have to have every type of liquor on hand. This is why we suggest you come up with a “signature drink” for the party that you can make in large batches. The party I attended served a Swedish specialty called glögg. It’s a beautiful, sweet, spicy, and lightly fruity mulled wine that incorporates vodka and at least one day to a week of infusing flavors. Everyone at that party only enjoys my neighbor’s glögg once a year at this very party. It’s something we all look forward to and deeply appreciate. And, frankly, it’s easier to pull off than asking each guest what their favorite drink is, and trying to accommodate that. First things first: always say thank you. Always. Now that that’s out of the way, let’s look a bit deeper into how to say thanks. The Emily Post Institute tells us to always send a handwritten note after a first-time meeting or an important party. That’s great advice and definitely sets a high standard. But, that’s not always so practical. We’re pretty confident in saying an e-mail “thank you” note is 100% appropriate, nearly, 100% of the time. So when might you want to offer a handwritten thank you? We say you should always send a handwritten thank you note when you are given a gift from a client, vendor, associate, or close-acquaintance who isn’t quite your best friend. Your best friend won’t question your lack of a thank you note. A sincere and warm “thank you” perhaps followed by a hug is all your bestie needs. There is one thing The Emily Post Institute says on this matter that we have to fully endorse: The more expensive the entertainment, the more the need for a handwritten note. This can be tricky. We, once again, are going back to the tried-and-true advice of the good old Emily Post Institute. This time of year is when we say thank you to those who provide us year-round services. And remember: holiday tipping is truly about saying thank you — and there’s a way to do it without blowing through your budget. Your budget: Don’t ever feel the pressure to go beyond your personal budget. This is about saying thank you — not about doing damage to your own finances. When in doubt, ask: Call the front desk and ask what is accepted by the company, and typical for what they see from other customers. In the concise spirit of that advice we’re going to simplify the various guides we referenced. For the most part (whether it’s a personal trainer, barber/hair-stylist, once-a-week-housekeeper, massage therapist, and similar service providers) you can tip them up to the price of one full-usual session. Au pairs, live-in nannies/housekeepers, daycare providers, and live-in healthcare specialists (service providers who are close to you and your family) can either be given “actual gifts” or you can give them a cash gift. Depending on the level of your personal/live-in healthcare specialist, you may want to consider giving one week to one month’s worth of pay. $10-$50 (depending on the level of service and your judgment) is appropriate for doormen, elevator attendants, garage attendants, and other similar positions. Image Courtesy of DiEtte Henderson. If you’re giving gifts in the office, of your own volition and not due to a Secret-Santa effort, give your gifts in private. Chances are you haven’t bought gifts for your entire office, so don’t let people feel left out. In fact, making the gift-giving a more private moment can actually enhance the power of that moment — deepening your bond with the recipient. Giving a gift to a boss or supervisor should be a team effort. That strategy is cost-effective, and you don’t want to aggravate office politics. Keep everyone involved, as long as they want to be. 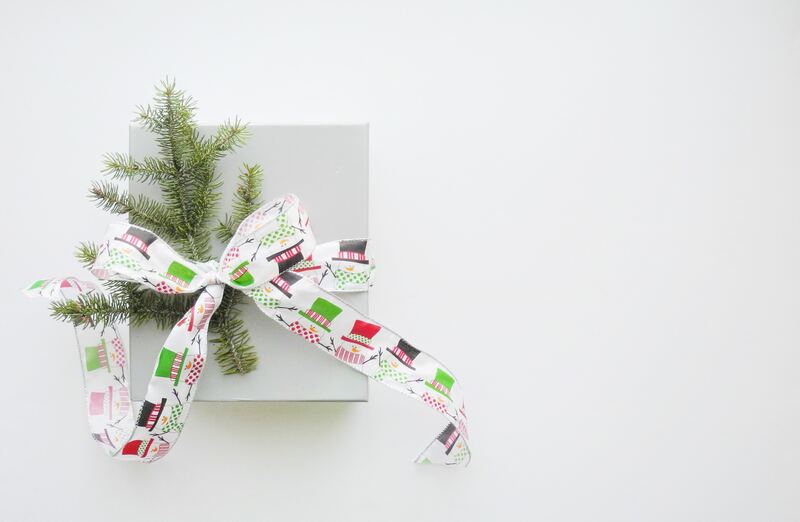 Set a deadline, let your colleagues know, collect their contributions, procure the gift, and make the gifting process a shared and communal event. When attending a purely social party a bottle of wine, or something bubblier, is always great for a host or hostess. Now back to the office party, a bottle of booze is maybe a tad less surefire for corporate gifting. Do some sleuthing and figure out a simple delicacy/edible-indulgence that could be appropriate when a bottle of booze isn’t so appropriate. If you do draw a name in a Secret-Santa situation, keep it simple: get a gift certificate to a place you know your recipient loves. And when it comes to a gift for a loved one… well, that one you’re going to need to figure out on your own. We’re sorry. We don’t know what Aunt Kate wants for Christmas and we’d rather not mislead you. Take this task as an opportunity to slyly and subtly get to know your loved ones a bit better. Help them upgrade an-often-used home appliance. Consider any significant life changes that could use an accessory of some kind. Did they recently move? What’s something essential your recipient is missing in the new home? Think about the things you know they love: what are their favorite activities and favorite foods? Is there something you can get them to help make a regular activity/responsibility/occurrence in their life easier to manage? Do something with them. Get concert tickets or fund a trip to their favorite museum. We’re ending this Holiday Survival Guide with some insight on how to keep your calm and love yourself this holiday season. The holidays are beautiful and wondrous times, but they can also be stormy and stressful as well. In fact, most of us are stressed all the time — even when we’re having a great time. There are different kinds of stress, after all, and it’s important to always be mindful, check in with yourself, and take stock of what kind of stress you’re feeling and how you’re dealing with it. Make mindfulness a priority. Don’t skip your usual workout. I know, easier said than done. Believe me, I know. It’s especially hard during the holidays. Perhaps the top of your month is overloaded with knocking out work before you take a week or so off, and other general preparations for the holidays. That can impact the “normal” habitual “good things” you do for yourself. Make an effort to not let yourself run ragged, and to keep up with the routines that make you happy. That is vital to your wellbeing. Let yourself love yourself and get rid of guilt. What do we mean by that? Give yourself leeway and don’t beat yourself up for enjoying food over the holidays. Plain and simple — whether you’ve kept up with your workout routines or not. We’re not saying to sacrifice your standards, but indulge a bit and have fun. This is a once a year occurrence, and we only live once. Don’t deprive yourself of enjoying this time of year. But be smart. Don’t starve yourself all day before heading to any sort of gathering with food. That logic doesn’t work. Starving yourself leaves your stomach unable to gracefully and easily handle larger portions of food. You’ll most likely feel some combination of indigestion and pain. You don’t want that. Eat light proteins with some fruits and vegetables throughout the day to keep your blood sugar levels normal. Plan ahead. Take some time to do a little work here and there, so you don’t find yourself stressing later on. Create a list check it once, twice, figure out who’s naughty and nice… wait that’s not right. Sorry — really sorry. Got my blogs confused for a second there. Ahem, anyway, create a list of what you need to get done and dedicate the appropriate time to it. And, this is key, don’t load up one day with a ton of action items. We rarely give ourselves the time we need — planning takes energy. But we guarantee you, spending some time and energy planning out your week (ideally, your month) will save you more time and energy in the long run. And don’t stress if things don’t go according to plan — they rarely do. But having a plan means you have a template to prioritize and shift things around when you have to. Most importantly: Give yourself a silent night or two, or three, or four even. Dedicate a few nights to giving yourself a quiet and calm experience. Just relax and check in with yourself. We loved preparing this Holiday Survival Guide for you. We’re passionate about seamless solutions. 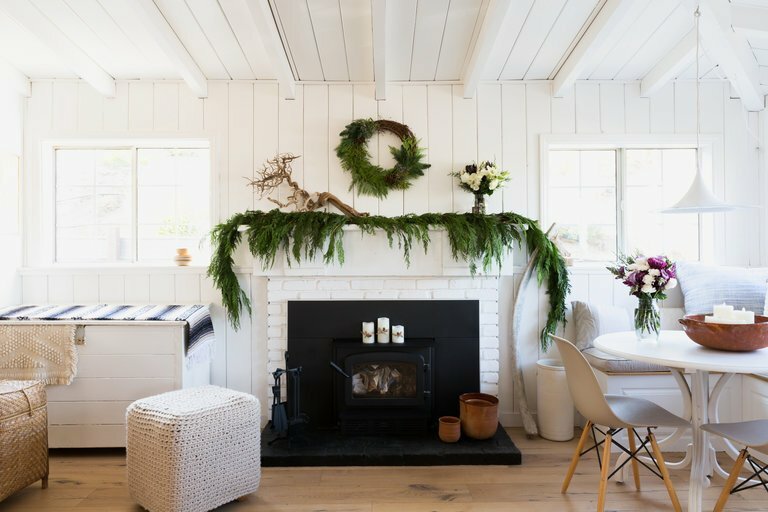 And just like we can help you find your dream-home in stress-free fashion, we wanted to help make your holidays magical, in equally stress-free fashion. Remember to check in with yourself, and do what you need to so you can keep your calm. The holidays can be tricky, but they don’t have to be. Going into responsibilities and activities with a clear, confident, and healthy mindset will inform your behavior. And hey, social anxiety is very real. A party can be sort of nerve-racking at times. But remember, your mind is powerful. Let a party, or any social gathering, be an opportunity to meet new people, make new connections, and share ideas. That’s one example of a positive and healthy mindset that will enhance your experience. Who knows, you may walk in the door carrying an instant and undeniable sense of charm about you — just from having a happy, calm, and confident mindset. 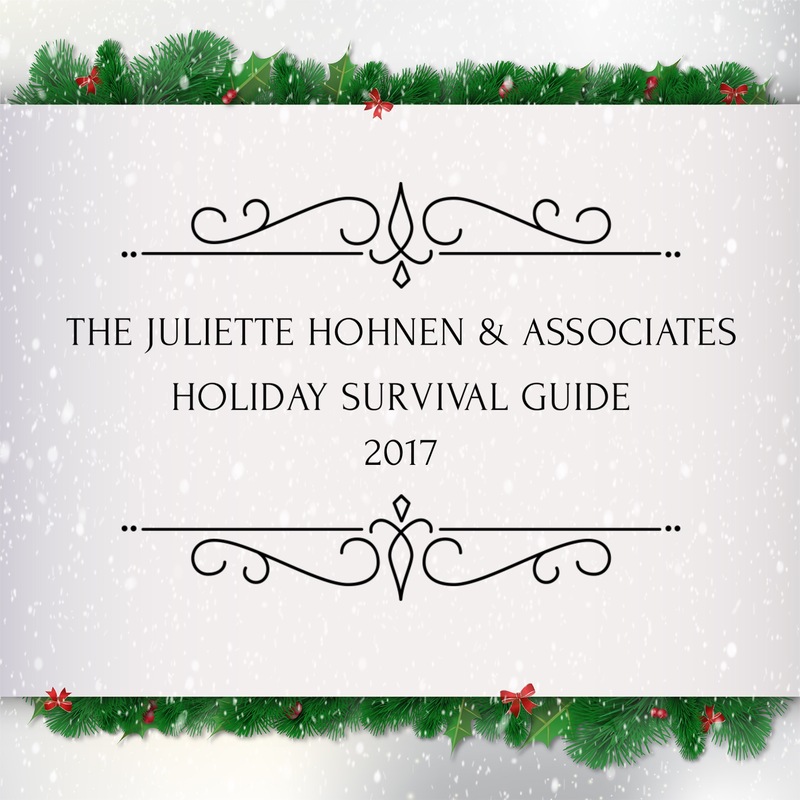 From all of us at Juliette Hohnen & Associates: Thank you for sharing your time with us. Thank you for letting us be a part of your lives. We cherish community — that’s why we’re realtors. We hope you have a wonderful holiday and a very happy new year. We’ll be in touch soon!